bright beautiful glass of alcoholic cocktail or lemonade on a table in a bar. soft focus. 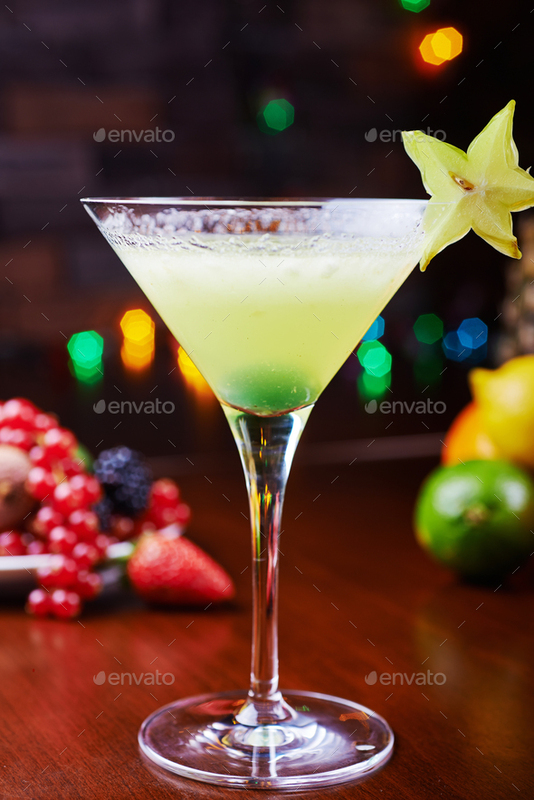 glass of bright tropical alcohol cocktail or lemonade with beautiful decoration on a table in a restaurant with backgrounds of bright colored lights. soft focus.